After spending the morning replacing the thermostat in my truck, Jari and I decided to try our luck at the storms in southern Oklahoma, and to see if my overheating problems were solved. 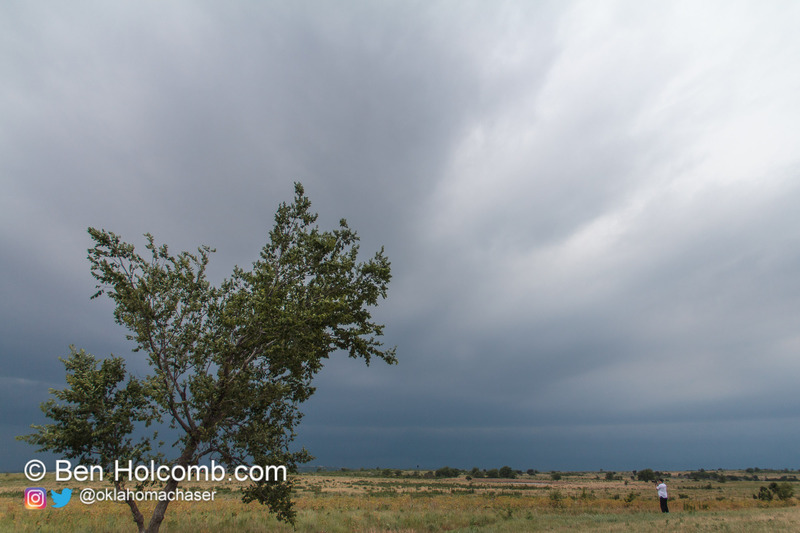 Thankfully, no overheating for us on the whole journey which took us south on I-35 to just south of the Pauls Valley area where we stopped at the scenic turnout to take pictures of an incredible shelf cloud which was moving from the southeast to northeast. 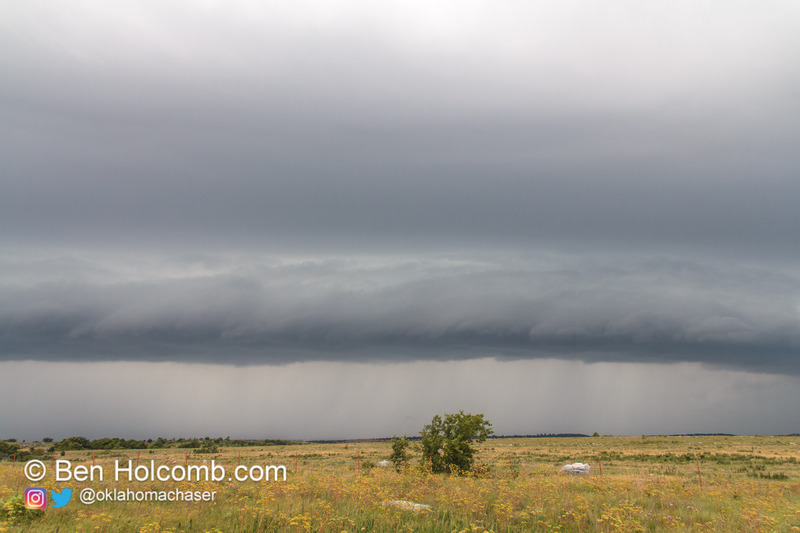 After this passed, we tried to catch back up to the storms to the east, but never was able to and gave up east of Ardmore. Jari and I got dinner in Ardmore and headed home.